Don’t forget about our range of stunning LOVE lights and Initials! We supply stunning 5 ft Lights, powder coated and illuminated by Italian Cabachons. We guarantee that our lights will help to enhance any venue. We also have the full alphabet so you can go for initials or full words, the choice really is yours! 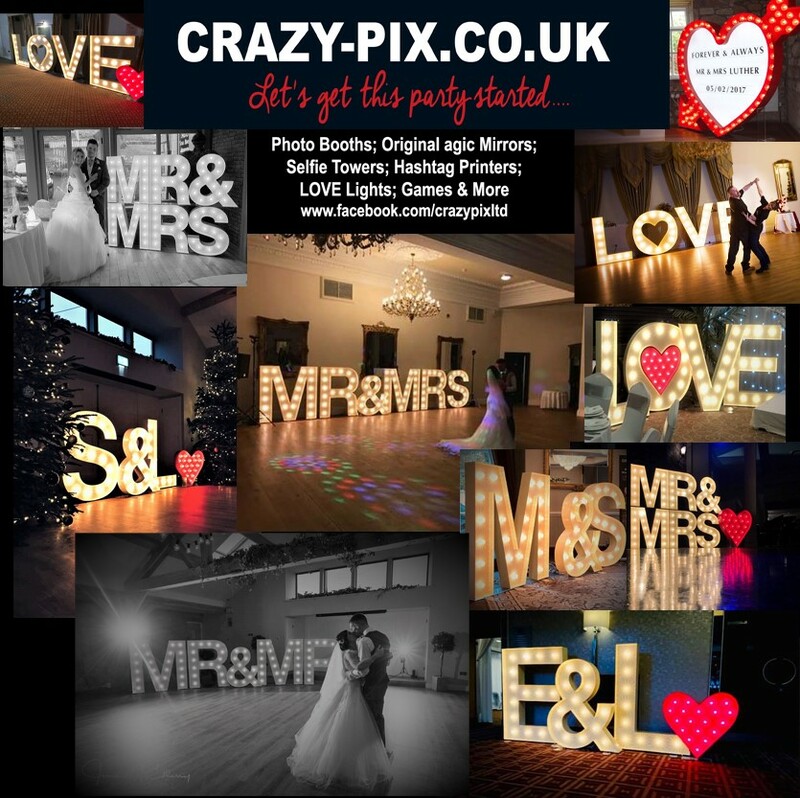 But as well a letters, we have a truly stunning giant Red Heart that can be personalised with 3 lines of working of your choice…..check out our ‘Booths, Mirrors, Lights and Games’ page to see what we can offer you.